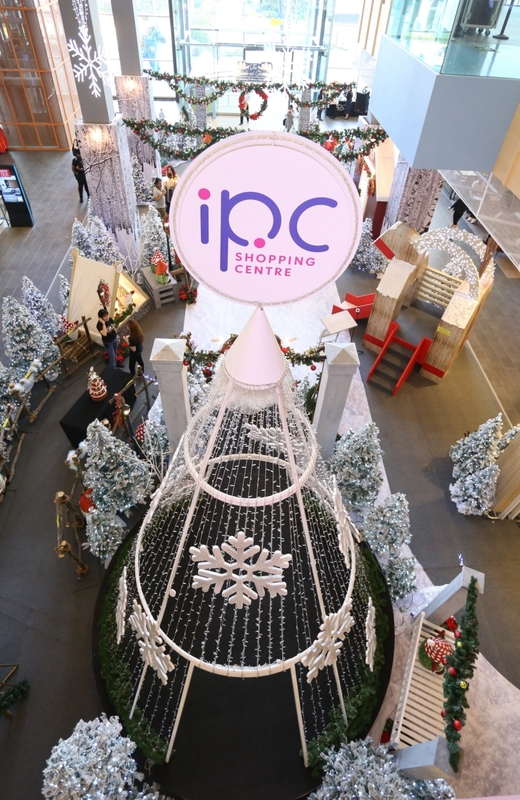 The joy of Christmas is in the air at IPC Shopping Centre. Inspired by the old town of Gamla Stan in Stockholm, Sweden, IPC’s ‘The Swede-est Christmas’ features a snowy wonderland filled with unique Swedish flair of celebration, shopping delights, festive activities and exclusive deals from now until 1st January 2019. This year, the celebration is much more significant as it also marks IPC’s 15th year anniversary. Celebrating IPC’s Swedish roots, shoppers and visitors will be taken on a journey through the snowy pathway at the concourse of the shopping centre. With festive Scandinavian houses, lighted reindeers, Tomte figurines, a 19-feet Christmas tree, together with a life-size Yule Goat, visitors will be spoilt for choice for Insta-worthy photo moments. 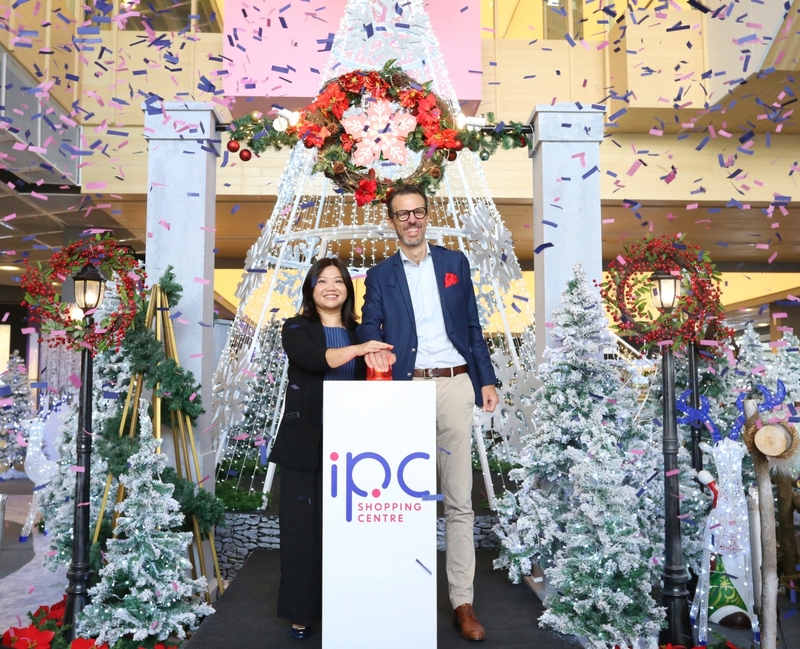 (from left to right) Karyn Lim, Centre Manager of IPC Shopping Centre and Thomas Malmberg, Shopping Centre Director of Ikano Centres, Part of IKEA Southeast Asia kicks off its significant 15th year anniversary with ‘The Swede-est Christmas'. Visitors can also enjoy the different types of activities during the weekends throughout this festive period. The activities are crafted to suit the different interests and needs of each family member. There will be Christmas ornament and decoration workshops, special Tomte and Swedish maiden meet and greets, Swedish Polska dance performances, as well as fun arts and crafts workshops for kids. Throughout the years, IPC managed to strengthen its partnership and has currently achieved more than 95% occupancy rate, while maintaining 46% of their long-term tenants such as Harvey Norman, Popular Bookstore, Padini, Brands Outlet, Spotlight and Ace Hardware. Since the redevelopment in 2017, more than 145 new and existing tenants have come aboard to further enhance the family-friendly environment. Furthermore, IPC has accelerated its priority for comfort, security, and convenience for the many. Maximising cross-visitation and accessibility, the community-friendly shopping centre recently introduced a new access point to the Mutiara Damansara MRT Station from IPC, as well as link bridges linking IPC and IKEA to The Curve respectively. The Swede-est Christmas is inspired by the old town of Gamla Stan in Stockholm, Sweden to commemorate IPC’s Swedish roots. During this festive season, IPC Shopping Centre, a family-friendly centre, is also proud to introduce the IPC Små Club – a kids club specially for the little ones. Appropriately named ‘små’ which means ‘small’ in Swedish, the club allows parents with kids age below 12 years old to enjoy more promotions and discounts when they shop at IPC. 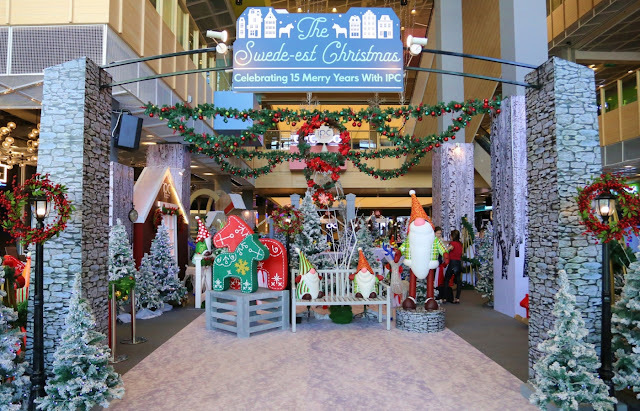 Visitors will be spoilt for choice for Insta-worthy photo moments with the snowy pathway, lighted reindeers, Tomte figurines, and a 19-feet Christmas tree, together with a life-size Yule Goat. With one year free membership, parents will get first dibs to any IPC kids’ workshops and activities, as well as receive birthday gifts during their child’s birthday month. Besides that, one of the many benefits of becoming an IPC Små Club kid is the encouragement kids will get when they recycle at IPC Recycling & Buy Back Centre. For every 1kg worth of recyclable items, our little friends will gain one special Små Club sticker. IPC Shopping Centre is offering shopping delights, festive activities, and family-friendly workshops, along with exclusive shopping deals from now until 1st January 2019. 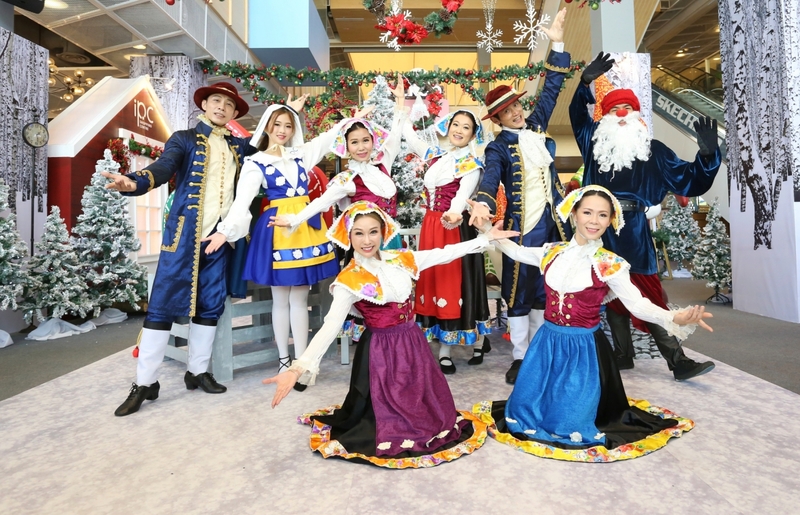 For more information about IPC Shopping Centre’s ‘The Swede-est Christmas’, its list of festive activities, or the IPC Små Club, visit www.ipc.com.my.